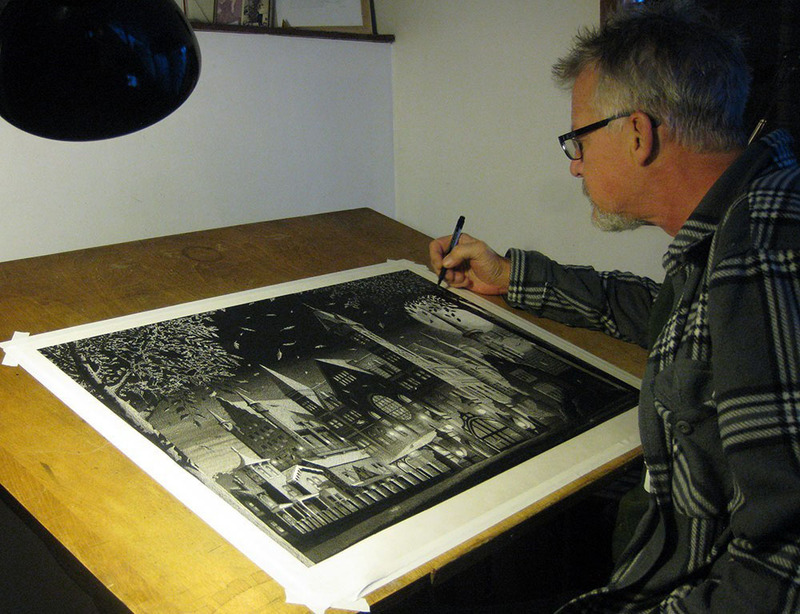 Comics wrtiter/artist Roger Langridge has worked for most of the major comic publishers in the English-speaking world. 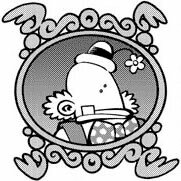 His self-published title Fred The Clown (collected into one volume by Fantagraphics in 2004) was nominated for Eisner, Harvey, Ignatz and Reuben Awards. Influenced by comedy past and present, classic American newspaper strips, and the commercial art styles of the early 20th century, Roger's work betrays a restless stylistic playfulness, a pessimism about human nature, and an absurdist perspective on human folly. 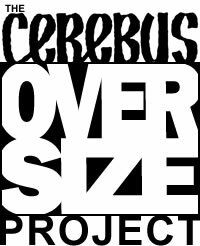 How did you discover Cerebus and how long did you read it for? 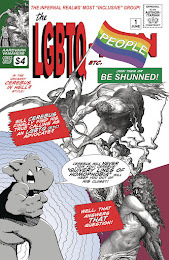 I started reading Cerebus around the end of High Society, so I guess I joined it in the forties someplace, maybe issue #47 or so. 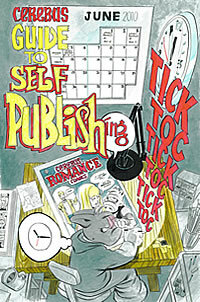 I think I found out about it through a magazine called Comics Scene originally, and when New Zealand's first comic shop opened in the early '80s, my brother Andrew and I started to order it through the mail, along with a bunch of other titles we'd only ever heard about but never actually seen, like Kitchen Sink's Spirit Magazine. 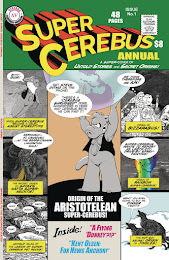 Cerebus was definitely a big part of my comics-reading horizons widening. 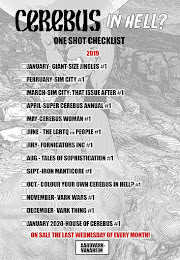 I kept reading it month-by-month for maybe another 100 issues or so; I started to find it hard to follow unless I read a stack of issues in one big chunk, so I would put them aside for reading at a later date and, after a while, I would just end up not reading them, as professional commitments, family life and other distractions got in the way. I bought every issue up to #300, though, because I felt I owed it to Dave to help him complete such an ambitious (and personally inspiring) work by supporting him financially. I still intend to read the whole thing at some point. The last 100 issues are still essentially 2000 blank pages to me. 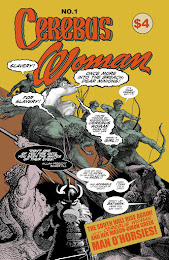 How has your own creativity/comics been influenced by Cerebus? I think, artistically, Cerebus influenced me quite a bit in my formative years. Dave's use of crosshatching and tones during the High Society era was something I essentially absorbed whole, as well as his use of design solutions to solve drawing problems (which I think he moved away from somewhat once Gerhard came on board and rendering settings accurately while still cranking out a page a day became less of a problem). I think Dave's sense of timing, comic timing particularly, was a big influence as well. There are scenes that still can make me weep with laughter even though I've read them more than once, and it's not even that the jokes are necessarily that good, it's just that they're delivered with flawless, Chuck Jones-level timing. Carl Barks is the only other cartoonist I can think of who can hit me the same way. Has Cerebus influenced your approach to working in the comics industry? I expect I would not have got into self-publishing as deeply as I did (i.e. 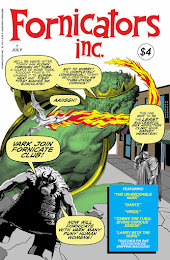 regular comic-book format, distributed-by-Diamond deep; I always made mini-comics) if Cerebus hadn't been around as an example. By the time I began self-publishing there were a few other success stories, like Bone and Strangers in Paradise, to hang my hopes on, but I think all of us knew that Cerebus was the Daddy. 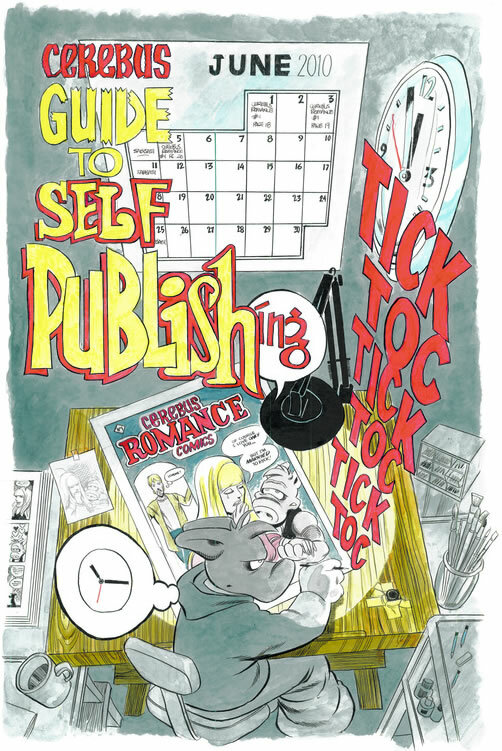 The Cerebus Guide to Self-Publishing got a lot of my attention in 2000/2001 while I was gearing up to publish Fred the Clown. And I think it would be fair to say that my generation of cartoonists was pretty heavily influenced by the Creators' Bill of Rights and all that surrounded it, and of course Dave was a big part of that. I sometimes get the feeling that the generation that came after me took a lot of the issues that came up around that time for granted, as if all of those problems had already been solved, but of course the pendulum's swinging back the other way now with Marvel making billions from their movies and none of the creators of those characters receiving anything, and the Before Watchmen brouhaha, and DC no longer compensating creators for the use of their characters after Paul Levitz's departure, and all that. Those issues are suddenly relevant again. My own bottom line when I decide to take on a work-for-hire project these days is whether the characters' creators had a fair deal and/or would have been happy about other creators continuing their work, which seems to me the bare minimum you should consider. I'm sure the Creators' Rights advocacy of the 1980s, of which Dave was such a large part, laid a lot of the groundwork for the way my own professional moral compass works now. Do you have a favourite scene/sequence from Cerebus? It's so hard to pick a favourite sequence. My favourite book is High Society, which is full of favourite sequences. Open the book at random and you've probably found one. 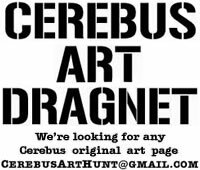 Would you recommend others read Cerebus, and if so why? Whenever anybody asks, I suggest people at least read High Society, which is in my opinion Dave's most accessible book. It was my starting point, which might be part of why it's a favourite, but I don't think it's all nostalgia; it has the virtues of not needing too much knowledge of the backstory to understand, which I don't think is true of any of the subsequent volumes, and of being the funniest of all the books. It's also way more polished than the first 25 issues, the early episodes of which can be a bit of a chore to get through and have put off a few people from persevering to get to the good stuff. Whereas High Society is solid gold from the first issue. And, as I said before, I really love (prefer, even) the more design-oriented approach to the art here. It suits the story, too; art deco solutions for an art deco environment. If people want to continue from High Society and follow the rest of the story, that's a rewarding experience, for sure. But High Society is, for me, the essential one. 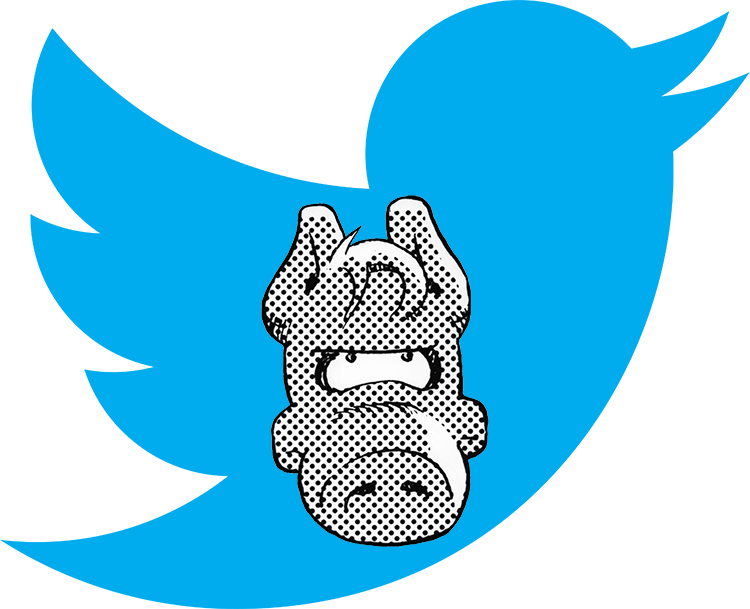 The Cartoon Mascot Logo That Started It All!